I’m thinking this could be my next long-term wallet. After more than six months of living without a proper wallet, I came across this picture while surfing the Internet and I like it because it is the closest I can find that resembles my previous (and sorely missed) black leather JPG wallet. Well, I could still use the nylon airline Givenchy pouch which I have been fully utilising the past six months… After all, it’s roomy, durable and I can fit almost everything inside it. It’s so much more than what other standard wallet could give me. Plus, I am not affected by any weird looks people might give me for carrying a pouch. Then again, she’d have something to say about that. 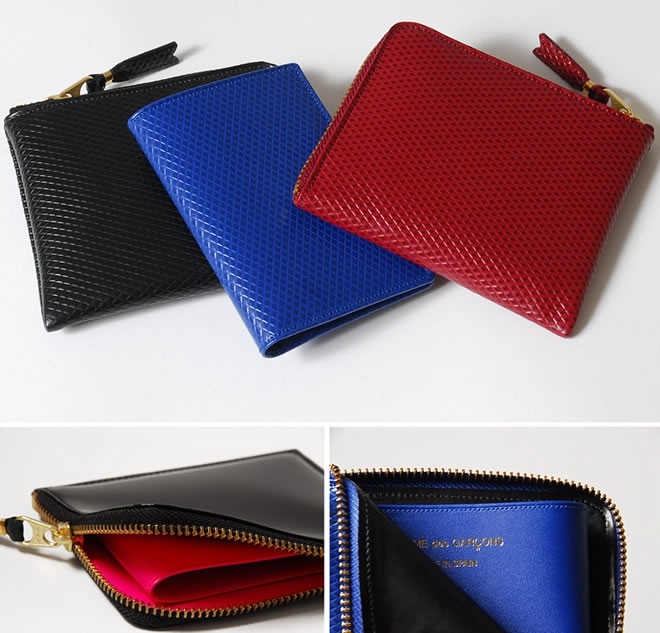 So luxury Japanese fashion label Comme des Garçons has a series of new style wallets that are made from bold, hand-dyed cow and goat hide leathers. Maybe, just maybe this can be my new everyday essential.